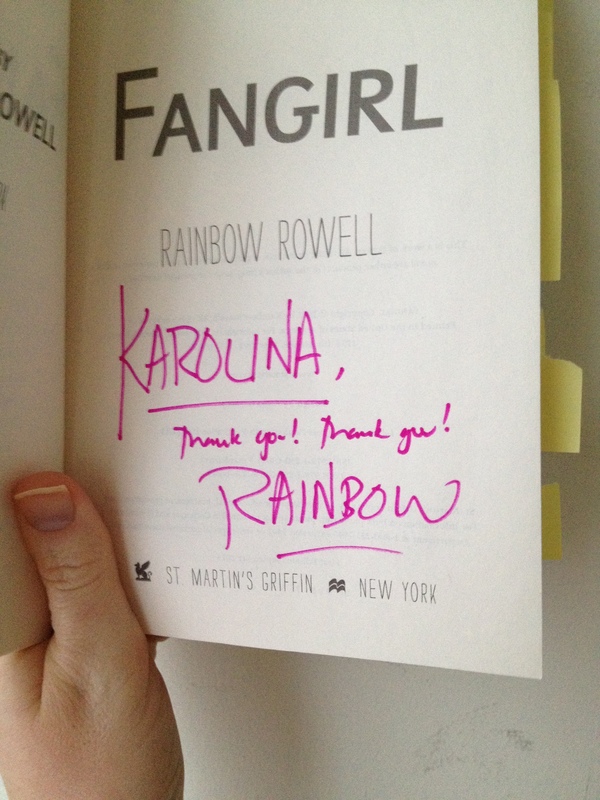 You would think that after three, YES THREE, hours in line at the BEA for a signed copy of Fangirl by Rainbow Rowell that I would rush home and read it. Or at least read it before it came out. Or after many people recommended it, you would think I would have read it sooner. What can I say? The blonde is fake but I’ve probably killed some brain cells coloring it so much and so sometimes I’m slow. DOH! I think that I might have been turned off by the title of the book. I’m a total fangirl, no question, but I’ve never got into fan-fiction and so I didn’t think that a book about a freshman girl writing fan-fiction would be appealing to me. While this book is about a girl, Cather, who is a college freshman and writes fan-fiction, it also has nothing to do with fan-fiction, in a way. Rowell explores not only the awkwardness of not fitting in, “the sitting on a toilet, eating an almond-flaxseed bar” in the girl’s dormitory to avoid eating lunch in the dorms by yourself. But also what would cause a person to want to escape reality and to disappear. It’s been a long time since a book has made me smile so much or cry. It’s been a long time since I’ve been hesitant to pick up another book right after I finish reading the last one because I know, just KNOW, it will not be as good as Fangirl and no matter what I will be disappointed. And it’s probably been an even longer time since right after finishing a book, I want to read it over again. A free preview of the 1st 50 pages or so. Enjoy! 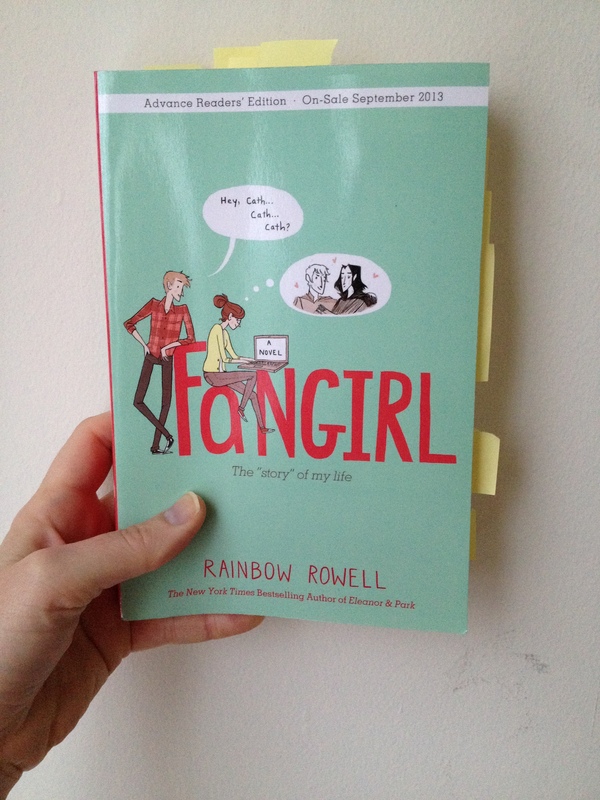 This entry was posted in Young Adult and tagged Fangirl, Fiction, Must Read, Rainbow Rowell, so good, Young-adult fiction. Bookmark the permalink.